Each individual sachet of Mini Soak contains 5ml of gentle detergent for your finished woolly projects. It can be used for your knitting, crochet, woven or felted projects. It can also be used as a gentle wash for other delicate laundry. For washing your wool items simple mix the contents of the sachet into a large bowl or sink of lukewarm water, add your item and leave to soak for 20 minutes or so. Once done, squeeze out excess water and then shape your item and lay it flat to dry. There is no need to rinse! 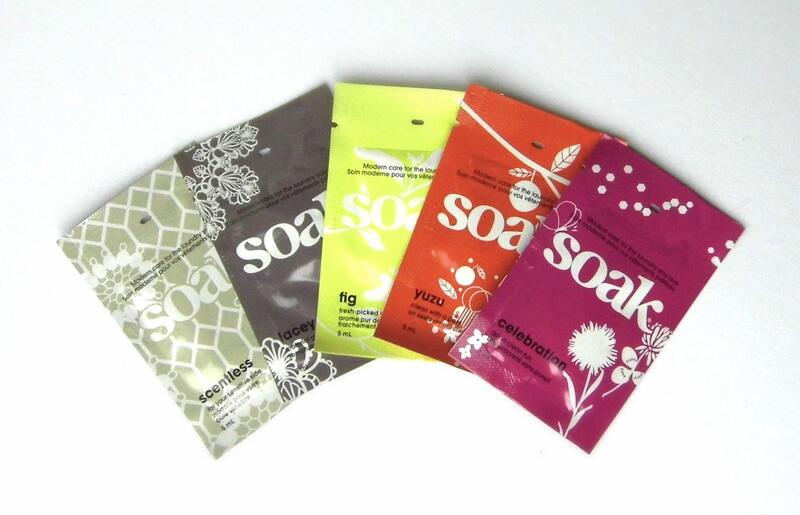 Choose from 6 scents, or opt for a pack of 6 (one of each scent), at a discount. Whilst scents are a personal preference, I don't find any of them overpowering, all are gently fragrant. Pineapple Grove - new scent (not pictured). 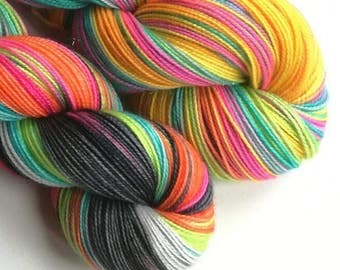 Rainbow speckle yarn. Pink rainbow speckle 100g skeins. Speckled sock yarn and sparkle sock yarn, Superwash merino/nylon/silver sock yarn. Arrived really quickly. Looking forward to use it when I soak my next knitting project for blocking.